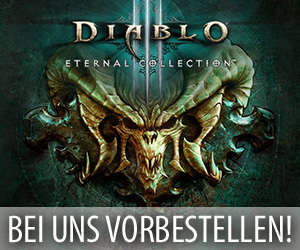 Bereits vor einigen Tagen veröffentlichten die Entwickler von World of Warcraft einen neuen Blogeintrag zu der kommenden Erweiterung „Legion“ auf ihrer offiziellen Communityseite, der den Spielern dieses Titels das in diesem Addon enthaltene neue Gebiet „Azsuna“ etwas näher bringen soll. Dabei gehen die Mitarbeiter von Blizzard Entertainment in diesem Artikel dann allerdings nicht nur auf das Design und die Optik dieser Zone ein, sondern sie erklären den Lesern auch noch die Hintergrundgeschichte dieses Bereichs, welche Gegner sie an diesem Ort antreffen können, was für freundliche NPCs in diesem Teil der verheerten Inseln auf sie warten und auf was für einzigartige Besonderheiten die Spieler in „Azsuna“ stoßen können. Wer sich bisher also noch nicht mit dieser neuen Zone auseinandergesetzt hat, der sollte sich folgenden Blogeintrag durchlesen. Azsuna is home to the remnants of the ancient night elves ravaged by the wrath of Queen Azshara. This accursed land is rife with many mysteries, and serves as refuge to what remains of the Blue Dragonflight. We sat down with Senior Game Designer Eric Maloof to get some insights on the zone and learn a bit more about what you’ll find there. Q. How would you describe the zone’s ambience? What’s it like? Eric Maloof: Azsuna is a broken land. It’s been cursed for a little over 10,000 years, before the Sundering. It’s also an invaded land, and probably has the heaviest concentration of demons in the Broken Isles aside from the Broken Shore. The Burning Legion decided to use Azsuna as a major warfront, taking over the sub-island of Faranaar and also staging a fairly heavy incursion onto the Isle of the Watchers. From the Suramar side of things, they invaded and created the Felblaze Ingress, basically. I like to call Azsuna the research park of magic for the elves. The Academy was the center of magical knowledge before Queen Azshara sundered the Tidestone of Golganneth, which caused the curse. Basically, it killed all of the elves and doomed them to an eternal existence—rather than turning into wisps and returning to the Great Tree, they’re stuck here as ghosts. 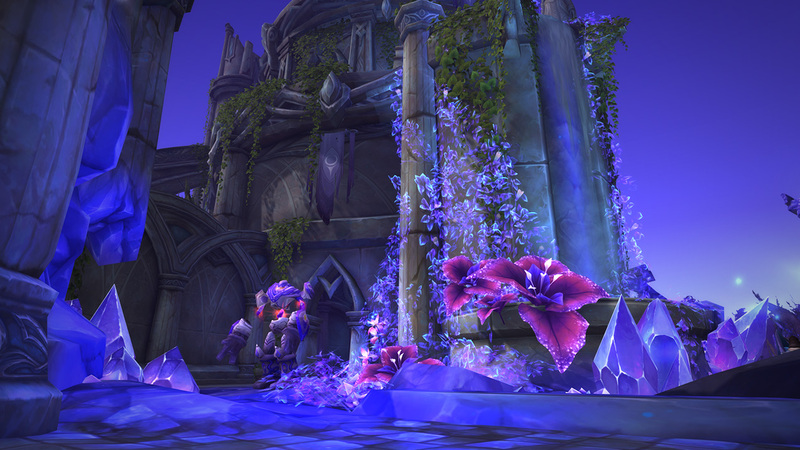 Azurewing Repose is a beautiful quest hub, where players see a different side of Blue Dragonflight from the one they’ve seen up to this point. What we see here is really a final retreat for the oldest living blue dragon, and he’s just hanging on by a thread because of the magic that’s infused in the island. The pool of magic that he’s resting in keeps him alive now—and that, in turn, is attracting the nightfallen and others from Suramar. 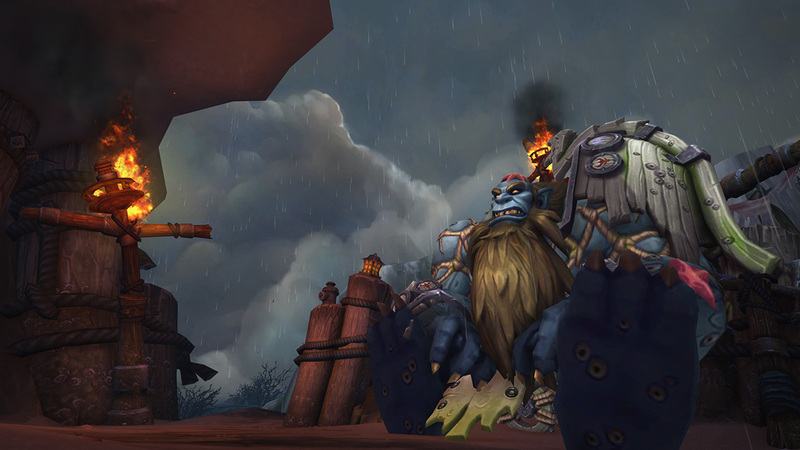 Azsuna is punchy and has a lot going on. It’s probably the one zone that isn’t necessarily dominated by any one given force, because realistically no one really comes here. You don’t imagine the elves from Suramar coming here, because it’s cursed. Why would you come here? 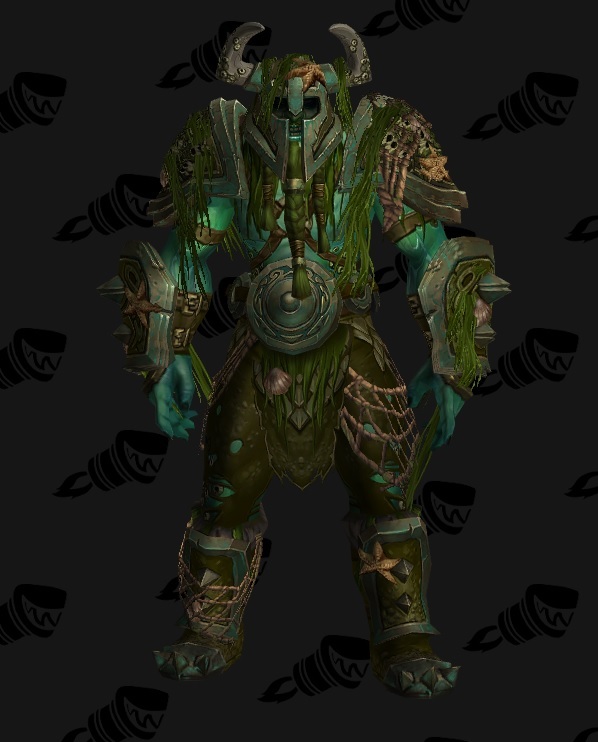 Really the only reason is because Azshara is like, “Yep, I’m after the Pillar of Creation now,” and the demons have invaded we have to stop these guys from doing this. We normally wouldn’t come here. You don’t want to go here. It’s like a horror story waiting to happen—but you really don’t have any choice. Q. 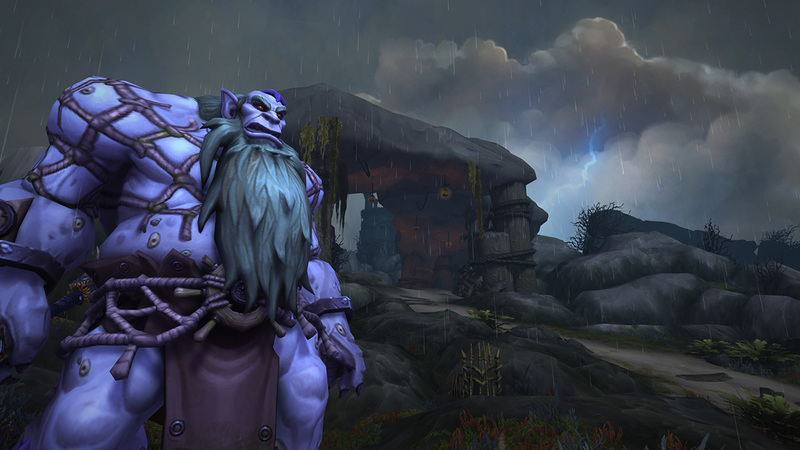 Which locations in Azsuna would you say are some of your favorites, and why? Eric Maloof: Well certainly Faranaar, just because of what happens to a place that was night elven and then gets hit with the full force of the Burning Legion. In lower Faranaar, where you do your level-up questing, you still have remnants of the elf ruins. But upper Faranaar is almost 100 percent just demons. This is what they do. This is what happens. This is what the whole world is going to end up looking like. The closest analog would be the demon world Mardum. So it sets the stakes for what we’re really fighting against here. I think we see a little of that in the invasions as well that are happening right now, but we don’t see as complete a takeover. You see the buildings coming in, and you can extrapolate what would happen. 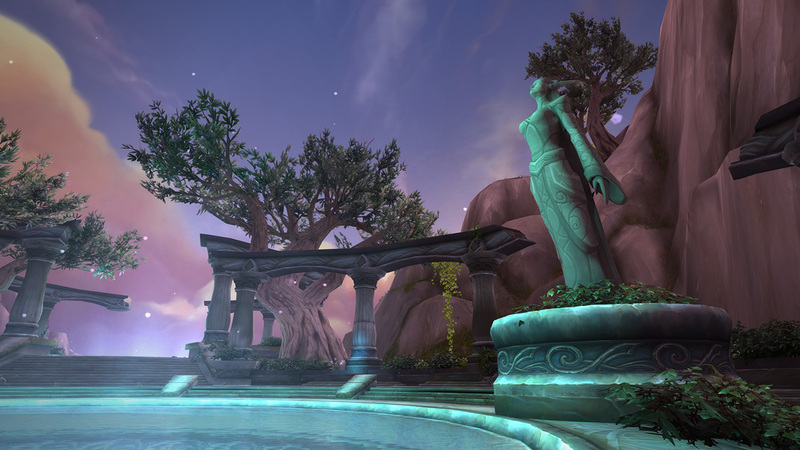 Another favorite of mine is the city in the Academy, the ruins of Nar’thalas. 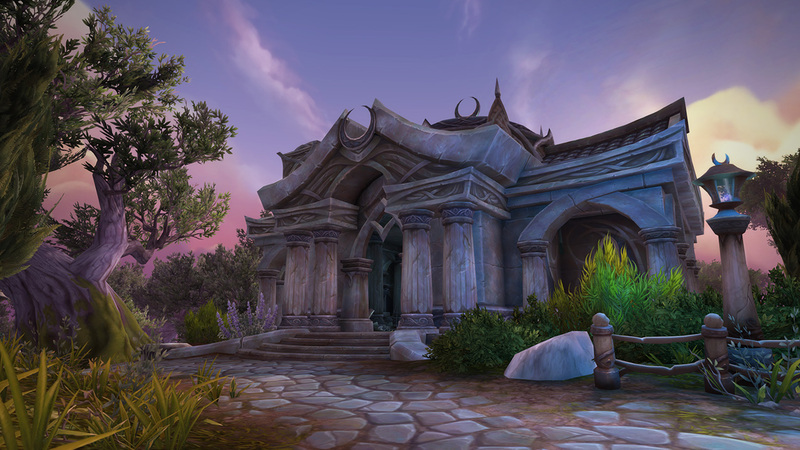 The team did just such an outstanding job to really get that vibe of “long, long, long ago, here was a really important point of elf civilization and it got smashed because of Azshara’s wrath.” I think the evolution—or de-evolution, when you compare it against some of the places in Suramar, for instance—is really interesting. The art kit is similar but aged and desaturated and cracked. I think it’s such an iconic anchor point of the zone. Q. Why do you think a player would want to start in this zone first? I honestly think all of the four level-up zones are extremely compelling. Certainly if they want to get more exposure to the immediacy of the Burning Legion, they’re going to get that out of Azsuna. Q. What is it that will bring players back to this zone? 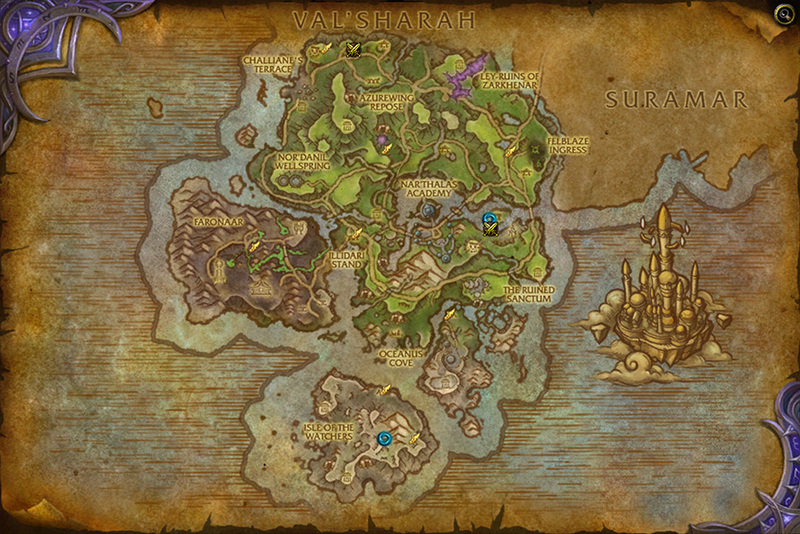 I’d say that when we were plotting out Azsuna, we put in a lot of spaces for top-level content, but with the scaling tech, we had a lot of opportunity for other content that we could satisfy everyone with. We set aside the Timeworn Strand for a PvP skirmish, so there’s a naga invasion on the west coast encroaching into these elf ruins that have slid off into the ocean. Who knows, it might have been the Sundering, it might have been the Shattering. We have the Isle of the Watchers, which is all top-level. There, the Wardens faction has you deal with these monstrosities that have broken out of the Vault of the Wardens dungeon and set up camp in various places. In addition, the Burning Legion has taken one of the towers and is fighting the Wardens for the other tower with their felsworn—basically, the demon hunters and others who have sworn their allegiance to the Burning Legion. Then we have the two dungeons, The Vault of the Wardens and the Eye of Azshara, which is magically connected to Azsuna. It’s effectively the dungeon staging area for Azshara’s forces as they either magically transport into the middle of the zone or swim up through the ocean, as we show when you’re coming into the zone for the first time. So yeah, we’ve got a lot of reason to come back—plus we have profession content spread throughout the zone as well. Q. Is there anything else that players should look forward to here? There are so many little anecdotal things that might be too spoilery. One of the most compelling storylines focuses on Prince Farondis and his redemption. Here’s this guy who, in trying to do the right thing, damned his people for all eternity. He attempted to use one of the Pillars of Creation to stop Queen Azshara and the events at the Shattering with the Well of Eternity when that occurred. But in attempting to use an artifact of such immense titan power, Azshara got the drop on him, and all of his people blame him. To see him go through just being spit upon by his own people—and then going on to work with the player to help recover the Pillar of Creation—it’s really a redemption story. It’s really cool to see. Another good story is in the north, there’s a nightfallen who’s really trying to resist his condition. You’re kind of rooting for him and you’re not sure how things are going to turn out for him.